REVUE: ‘Hockey – The Musical’ scores big with fun songs, true comedy | Hockey - The Musical! At the start of the show, the house lights go down and the curved screen at the back of the stage lights up with the face of a man named Lee Rifield. See, Rifield is the man who got Mitch Albom — yes, the guy who has written stories for the Detroit Free Press and novels like Tuesdays with Morrie — to finally write a musical about hockey, an idea Albom had brought up years prior. Unfortunately, as noted in Albom’s playwright note in the program, Rifield died before really seeing the show take off, and now each night is dedicated to him. 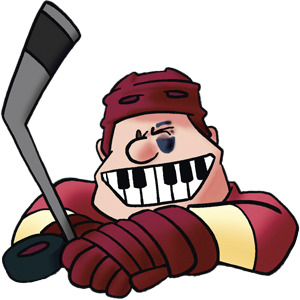 But while the show may start on a slightly somber note, Hockey – The Musical! then skates right into hilarity.